Our Picture Book of the Week this week neatly covers two subjects very dear to our hearts - dad and daughter books, and lovely lovely libraries..! "Luna Loves Library Day" by Joseph Coelho and Fiona Lumbers took me right back to the very beginnings of this blog. Every week I was lucky enough to be granted a day off to spend with Charlotte, so we usually spent the day at kids club, or in the park in fine weather, or best of all down at the library every fortnight, wading through an absolutely huge pile of picture books. Luna and her dad do the same, and Luna really looks forward to library day. Luna knows that inside those books are adventures waiting to be read, whole worlds waiting to be discovered, and of course a huge cuddle with dad while he reads the tricky stuff. Joseph lends his lyrical talents to a gentle and heartwarming story, beautifully illustrated by Fiona, that just ticked all our boxes and once again had me remembering how much I miss those days off with Charlotte. Now we're squeezing our book time and review time into whatever spare time we can scrape together, it's even more of a win for us to have a wonderful book that might, just might, get a few more mums and dads interested in visiting the library (hopefully you still have one in your locale), and tapping into a huge free resource for fabulous picture books to give your kids a jump-start in the right direction, towards a lifelong love of books. 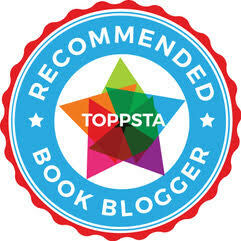 Charlotte's favourite bit: "It could almost be a book about us!" she exclaimed. She's right, it almost could! Daddy's favourite bit: A warm fuzzy feeling from a great little story that shows just how fantastic and special a bond can be developed over a love of stories. 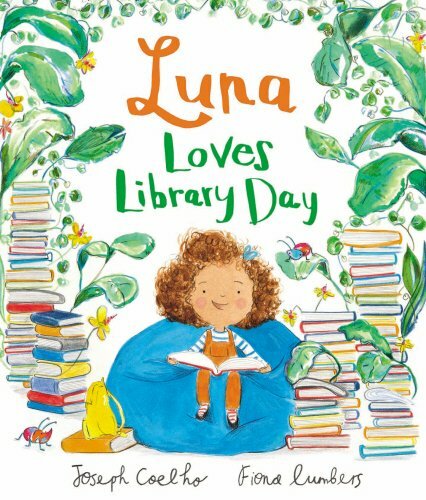 "Luna Loves Library Day" by Joseph Coelho and Fiona Lumbers is out now, published by Andersen Press (Kindly supplied for review).